The U.S. is bolstering its ability to intercept ballistic missiles fired from North Korea with the deployment of another Raytheon missile-defense radar in central Japan, said Brendan McGarry, Military.com correspondent. In a joint announcement, the U.S. and Japanese governments said a second so-called Army Navy/Transportable Radar Surveillance system, or AN/TPY-2, made by Raytheon Co. has been installed on the island nation. The announcement follows discussions last year between President Barack Obama and Prime Minister Shinzo Abe involving deployment of the technology that drew opposition from China. The first step in defeating a ballistic missile that has been fired is «seeing» it. And that is where Raytheon’s AN/TPY-2 X-Band radar comes in. A critical element in the Ballistic Missile Defense System, AN/TPY-2 continually searches the sky for ballistic missiles. Once it detects a missile, it acquires it, tracks it, and uses its powerful radar and complex computer algorithms to discriminate between the warhead and non-threats such as countermeasures. Depending on the needs of the warfighter, the AN/TPY-2 radar can be deployed in two different modes. In forward-based mode, the radar is positioned near hostile territory, and acquires ballistic missiles in the boost (ascent) phase of flight, shortly after they are launched. It then tracks and discriminates the threat, and passes critical information required by decision makers to the Command and Control Battle Management network. When the AN/TPY-2 radar is deployed in terminal mode, the radar’s job is to detect, acquire, track and discriminate ballistic missiles in the terminal (descent) phase of flight. 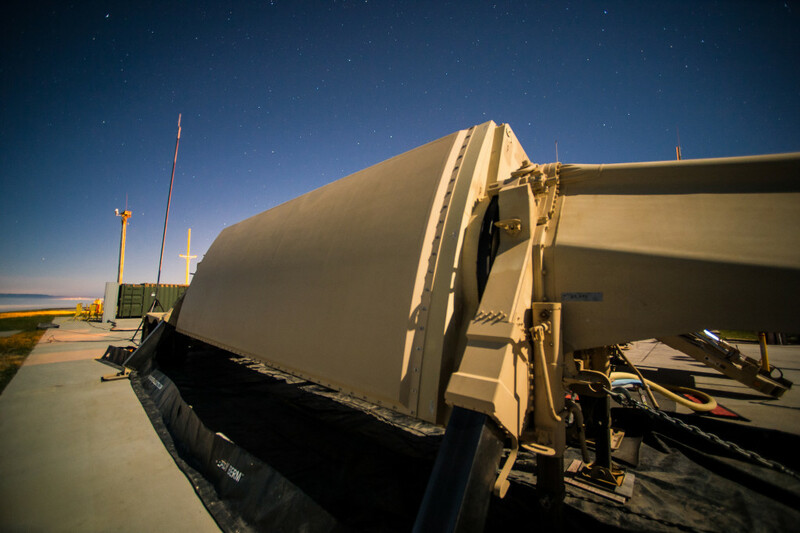 The terminal-mode AN/TPY-2 also leads the Terminal High Altitude Area Defense (THAAD) ballistic missile defense system by guiding the THAAD missile to intercept a threat. AN/TPY-2 has a record of flawless performance against all classes of ballistic missiles. In forward-based mode, it has proven capability against short-, medium and intermediate-range ballistic missiles. In terminal mode, AN/TPY-2 has demonstrated its ability to enable an intercept of short- and medium-range ballistic missiles. AN/TPY-2 can provide precise tracking information to any number of missile-defense batteries, including the truck-mounted THAAD, systems in the Pacific and the Middle East; the sea-based Aegis Ballistic Missile Defense System; or the Ground-based Mid-course Defense System in Alaska and California. The radar itself is composed of four mobile components: an antenna unit, an electronics unit, a cooling unit and a prime power unit, according to information from the manufacturer. The system can be transported in such cargo planes as the C-5 Galaxy and C-17 Globemaster III, as well as in ships, railroad cars and trucks. 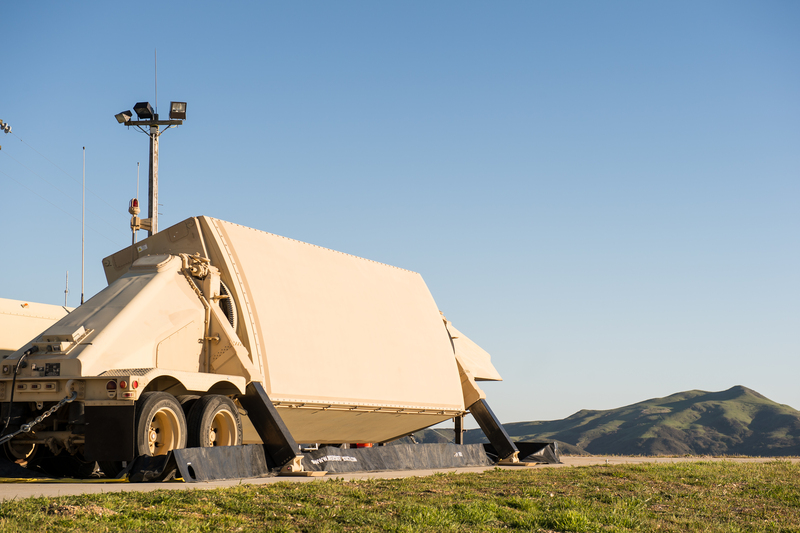 The U.S. Army, which has already purchased five of the radars, had previously planned to purchase as many as 18 of the units, though that number was reduced amid automatic budget cuts known as sequestration. Last year, each was budgeted to cost about $173 million, according to budget documents.